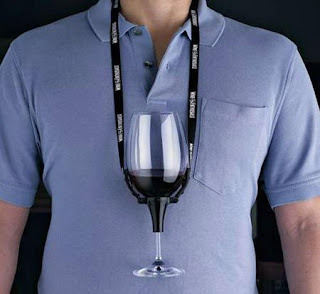 For the man who has everything ... including alcoholism. Comforting fake hands ... what every baby craves. 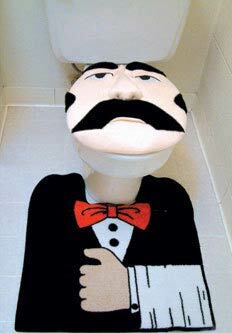 Toilet Butler Face ... because ... because ... who the hell knows? 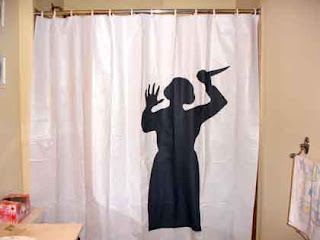 My favorite ... Psycho shower curtain ... wonder if it comes with the soundtrack. Son of Butler Toilet Face ... because ... oh just because! @Gillian .... I'm with ya! I need to find some of those fake hands. Perfect for Mother's Day! @Betty ....... I agree. Maybe they are molds of grandma hands for those who live out of town. Those fake hands are the most frightening thing I've ever seen! Don't laugh, my hubs actually had that wine thing for beer when he goes to beer festivals. Swear to gawd! Ha ha! @ Chrissy ... Pretty scary stuff huh? Wait til that kid grows up and his mommy shows him pictures. @Ally ... LOL. My kinda guy! I don't think I could take a shower with that curtain. I'm always half-thinking about that anyway. 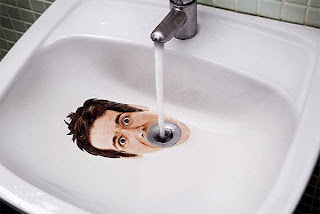 One day I'm going to go ahead and bury Grandma's body and get rid of that nagging fear. @Shawn .... LOL Be sure to bury her hands too ... they're freaking out the baby. Marty ... Would you Call My Dad?